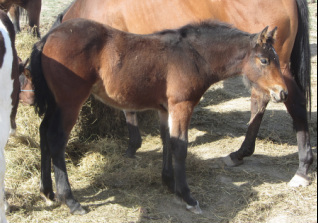 The foals listed below are only available at a discounted price for a short time. There are only 3 more to be sold before the sale ends so hurry and take home the perfect companion for your family this Christmas. 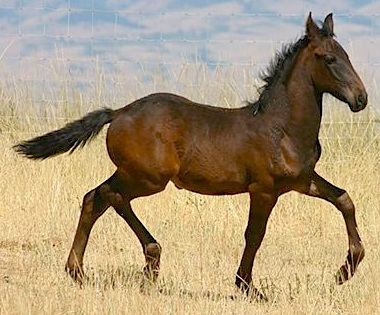 No payments on discounted horses with the exception of unweaned foals. Here is a list of the available horses, their original price, the discount we are offering and their sale price. 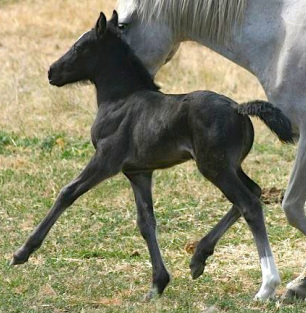 Check out our SALE page to see our foals available at discounted prices! 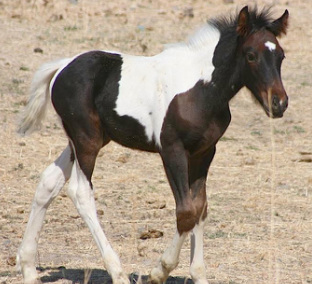 The sale will end after the first 6 foals have been sold so hurry and take advantage of our discounted prices and take home your very own Gypsy Sporthorse! Sawyer has very nice bone, a good amount of hair and a sensible disposition. He is a fancy mover and should be able to go in many directions. He is sensible and has had some round pen work and starting on the seven games. He has a nice, stocky build and should retain positive attributes from both his sire and dam. Should mature 15 hh. Duke should mature 15.1 hh. He has nice bone and great feet. He has a long, thick mane and tail and some feather. He is uphill and well balanced. Extremely sweet and loves attention. He has had some round pen work and takes everything in stride. He has the ability and disposition to go in a variety of directions (Trail, Cowyboy Dressage, Hunter under Saddle, etc). His dam was shown Hunter and started as a reiner before she suffered a severe leg injury (no fault of her own). Price is subject to increase with training. I believe she is smokey black; her dam was a palomino Skipper W bred ranch mare. Dallie has great bone and feet, light feather and should have a pretty thick mane and tail. She should mature 15.1 and be a tank. She has been started on round pen work and is doing well. She has a sweet personality and likes people. Myah is a pretty filly. She is out of a foundation bred AQHA mare. 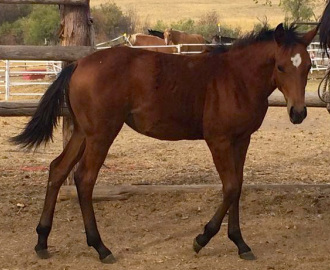 This filly is very athletic and would do well as a ranch horse or possibly even a barrel horse for someone that wants more bone. She looks like she'll have good bone and a nice amount of hair. She is smart. Should mature 15 hh. Dancer is a stocky, big boned filly with lots of hair. She has an adorable head, big hip, beautiful neck and short back. Dancer is sweet but can be a slightly shy filly. She should be extremely athletic. Sired by Lively Leo and out of Dory, a 15 hh Haflinger mare. 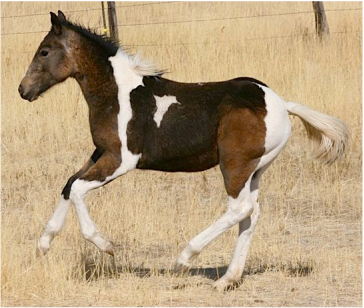 This colt will have wonderful bone, tons of hair and he already has a fantastic personality! 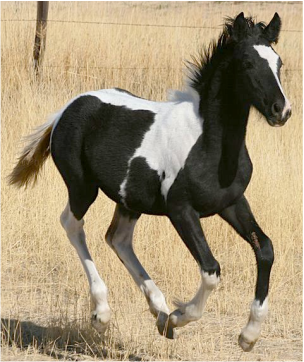 Secret is a stunning Bucksking Tobiano filly! 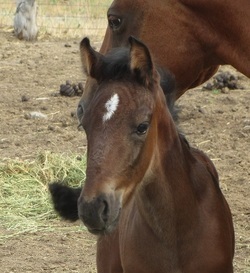 She has a beautiful head, great confirmation and the best disposition I have ever encountered in a foal. I can not say enough great things about this little girl! She could excel in many areas! I love this filly and its hard to have her on the sale list. She is a beautiful mover with great reach and suspension. She is sweet and is super willing to please. Very pretty head and neck. She is built to collect and should be athletic. She should mature about 15.1 hh. 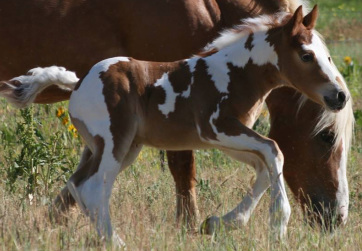 This is one of the cutest foals I've ever seen. He should mature around 14.1 or 2 hh and be a tank with tons of hair. He is brave and curious. Super personality! Axle is a full brother to Captain. 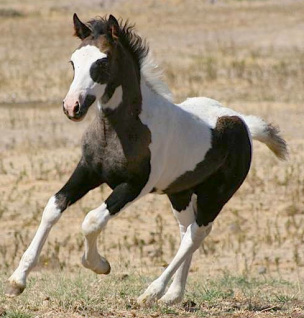 He is a big, stout colt with great bone and tons of hair. He is outgoing and brave! He will be a great all around horse! Quigley's dam is a registered Haflinger that is a good, stout mare with lots of hair. His sire is Lively Leo, a red and white Gypsy. Quigley is a tank with great bone, lots of hair and is very stocky. He is extremely athletic. He will mature to be about 14 - 14.2 hh. Cute and super sweet! 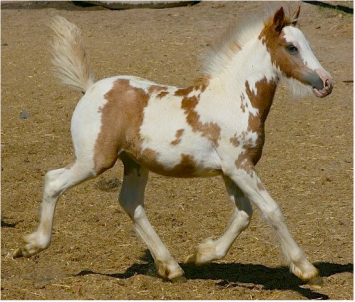 This filly is sired by Lively Leo, a 14 hh Gypsy cob and out of a 13.3 hh Haflinger mare. She is flashy, will have a tremendous amount of hair and is extremely athletic with a huge trot. She will only be offered for sale until weaning and at that time she will no longer be available for sale. 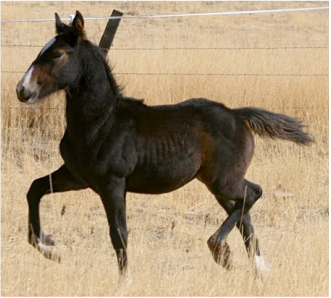 Geronimo should mature right about 15 hh. He has nice bone and should have tons of hair. He is extremely friendly and very curious. He looks like he will be a nice mover and could excel in several disciplines. His cute boy should mature to about 14.2 hh. His dam, Autumn, produces 1/2 Gypsy babies with tons of hair, great bone and quiet dispositions. Sterling likes people, is very friendly and curious. Lil Joe has great bone and will have tons of hair. He has a beautiful head and neck and will be built like a tank. He is very sweet but a little sensitive. He should be very easy to train and very responsive. His full brother is Hoss who is extremely athletic, a great mover and a pleasure to train. He should mature 15.2 hh. Surprise is sired by Duallaroanie (7/8 brother to Peptoboonsmal) out of Magics Little Mija by Reminics Pep out of Peppy San Badger bred mare. 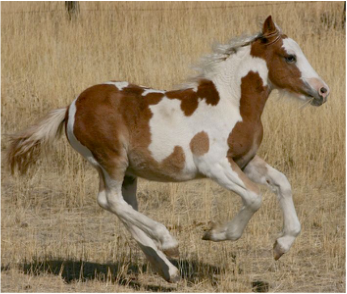 This filly could go in the cutting pen, working cowhorse or reining arena. She is so typey, beautiful head like her mama and very athletic. 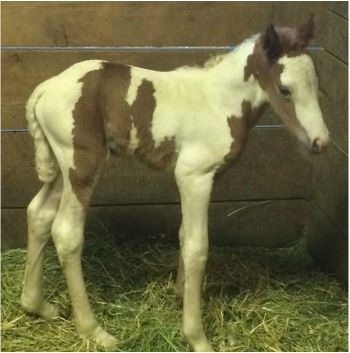 This filly is sweet, smart and so fancy! She is very uphill and balanced. She is brave and extremely curious. Jewell has so much style and presence. She should mature close to or right at 16 hh. This filly is amazing! She has good bone, tons of hair and is very sweet. 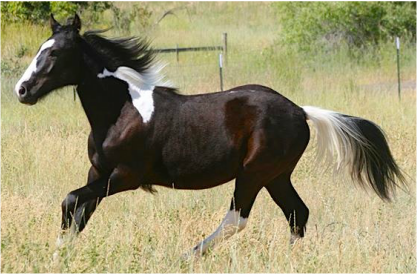 She has a huge floaty, extended trot, huge suspension and great reach. She has a gorgeous head and neck. 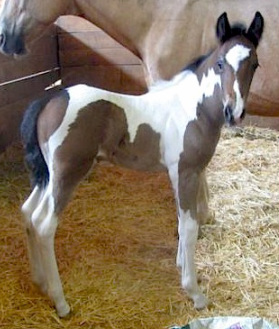 This filly is a perfect package! 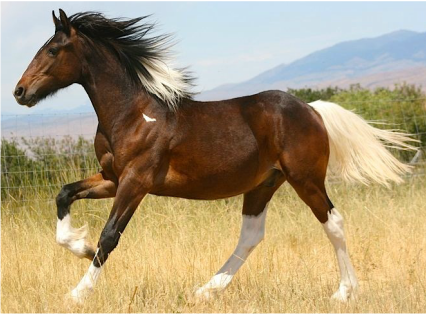 Handsome colt, gorgeous head, tons of hair, big boned and stout. He is floaty with quite a bit of action. He will be a looker. Solid black, not a speck of white. Special consideration to show home. This girl is fancy and has a lot of charisma. Tons of action, very uphill, floaty and good suspension. Dark brown/bay, good bone, should have lots of hair. Her grandsire is Anton 343. Sired by Lively Leo. Zeus should mature to 14.1 or 14.2. He's a very independent and brave boy! Gideon is a curious boy with such a sweet personality! He is sired by Lively Leo and should mature to 14.1 or 14.2. 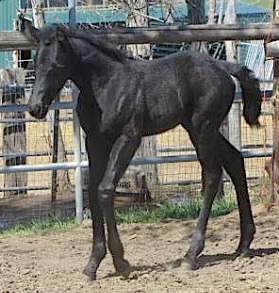 Charisma is a very flashy grulla and white tabiano filly. She is very sweet, has tons of hair and good bone. She is going to be a looker. Angel has great bone and hair for a cross. She has a beautiful head and pretty neck. She would do well as a hunter under saddle or lower level dressage horse. She has a floaty drop and moves uphill. Although its a little hard to tell at this age and it's her first outing, she seems to have nice movement. She is very sweet, curious and brave. Should mature around 15 hh. Could possibly turn grey. 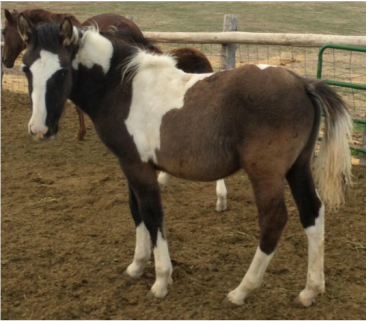 Bentley is a big boned, stocky colt. Should have tons of hair. 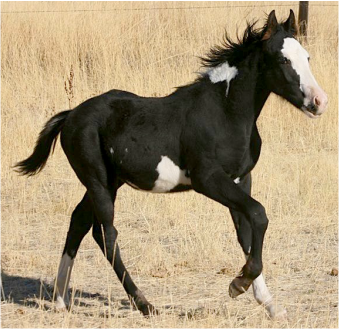 This boy will make an excellent ranch horse! His dam was a rope horse and has some cow sense. He loves playing with the feed bags and will spend a good half hour tossing it around! Such a cute boy with a great personality. Jersey has great bone and lots of hair! Her dam was shown to 3rd level dressage and jumped 3'6". 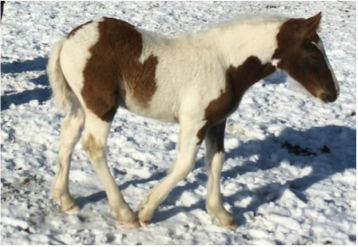 This filly should mature close to 16 hh. She's a nice mover with a very sweet disposition.